Nothing beats buzzing around town on two wheels during the summer months. Evening pub pints with pals are made even more appealing without the worry of sweaty public transport or the ferocious cost of cabs, while the daily commute can provide some much-needed post-winter fat removal when tackled on two wheels. This year's crop of urban-friendly commuters, hip 'n' cool fixies and traffic-beating speed machines is probably the best ever, fusing neat design and reliable running gear with wallet-friendly price tags. We've collated the best of this year's offerings, covering ultra-reliable crossovers, trendy single speed bikes and affordable racers for traffic smashing pace. 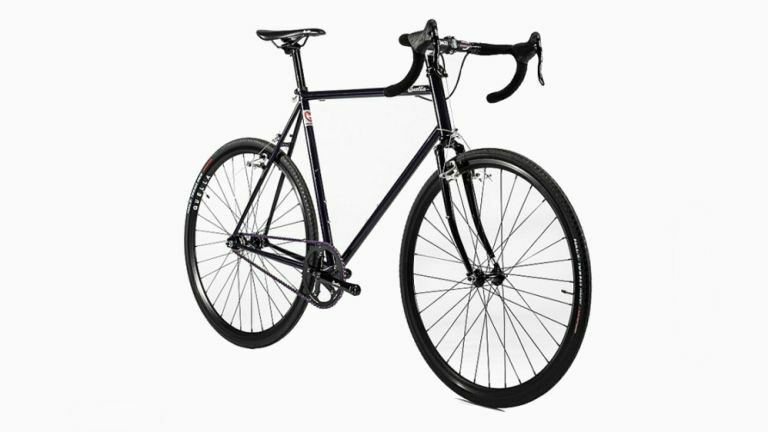 Interested in a single-speed but confused by talk of 'flop hubs'? Most of the single-speeds here can be converted between free-wheeling when you don't pedal, and a 'proper' fixie mode, whereby if you don't pedal, the bike immediately stops: practice somewhere safe when you switch modes, is our strong advice. Whatever your budget and preference, we've put together guides to the ultimate in contemporary biking. If you're serious about cycling always spend as much as you can. Just looking to dip a toe in the waters? We've got some brilliant sub-£500 bikes as well. If you prefer to get around with less sweat, especially if you live in a hilly area, or want to take on muddy hill trails, you might very well want to consider an e-bike. They increasingly resemble normal bicycles in terms of looks and cost and the battery power can be a godsend. You will have to slightly relearn how to ride if you're a long-time cyclist, especially if pure speed is your main buzz. These accelerate rapidly to about 15mph but it can be a struggle to push them up to 25mph because of legal limits set and on how much motorised assistance they can add, and the sheer weight of the beasts. Once you've got the hang of it, however, you may never go back. They're often marketed or described as running watches, but most such devices can apply the same GPS and heart-rate tracking skills to the world of cycling, Garmin's devices are particularly good as they can also pair with a wide range of bike-based sensors such as power meters. Increasingly, fitness bands offer similar, if more limited functionality. If you plan on cycling after dark these could save your life, or that of a pedestrian or other road user. There's really no excuse for not having the best front and rear bike lights you can buy.